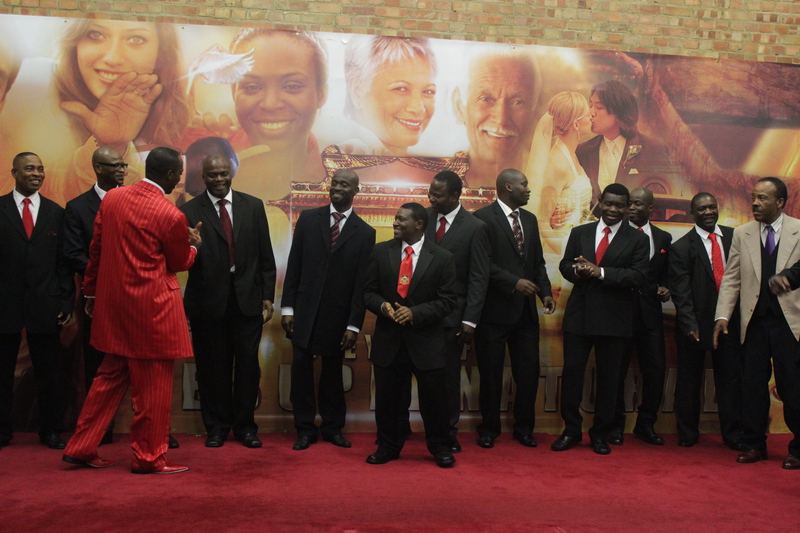 Its been an amazing weekend here at The Kingdom Millionaires Conference at The Kingdom Church London. It was filled with people searching for there Kingdom Millionaire status and through following instructions given and seeking God that they will be answered. This conference has been amazing I appreciate you all that came and gave us a full house! As well as those who watched live online and called the prayer lines! Myself and Bishop Sammy Gitonga lead the conference and delivered a financial revival service on Friday and a powerful and informative teaching seminar on Saturday and closed it with the grand finale Sunday Miracle Service. It was a fantastic three days and the church came prepared listening and ready to action! Also we had our First Lady Dr Jennifer Irungu all the way from our Edinburgh headquarters here with us this weekend! Let us not forget Fathers Day, where an awesome presentation was delivered during the Word Family Service! Dancing, Rapping, true words of appreciation it was all simply fantastic!! (To view pictures from The Kingdom Church – London Click here) I just want to say I was overwhelmed and am so thankful for every thought that was put into the special Fathers day Presentation. For every gift, phone call, email and text message thank you for taking the time out to appreciate me as your spiritual father. As the conference drew to a close I can only think that this is just the beggining of what is to come for everyone who is apart of The Kingdom Millionaires Conference and The Kingdom Millionaires Club. I can only encourage those of you who havent signed up or couldn’t attend to Click Here to join The Kingdom Millionaires Club ASAP! This is a life changing network where we changing your mindset to a millionaire and giving you with the right tools and materials to your success! Whether it be networking, business ideas and so much more! Theres so many things to learn and be apart of here at The Kingdom Church. Click here to Purchase The Law of Wealth Millionaires Conference Teaching! and Click To Purchase E-Book The Law Of Wealth – 10 Keys To Financial Freedom! This is a TKC Bookstore Bestseller! Bishop Climate reveals to you the 10 Laws of Wealth that will guarantee your financial freedom. Throughout this book you will learn all about money, how to obtain it, how to use it, and how to keep it. This book and audio teaching is practical and shares so much practical information it will sure change the way you view money entirely! Your life will never be the same again! How to use other people’s financial wisdom to benefit you! How to make money work for you!Dont Miss out Click the Link above and Invest in your life for your financial Freedom! Special Announcement! 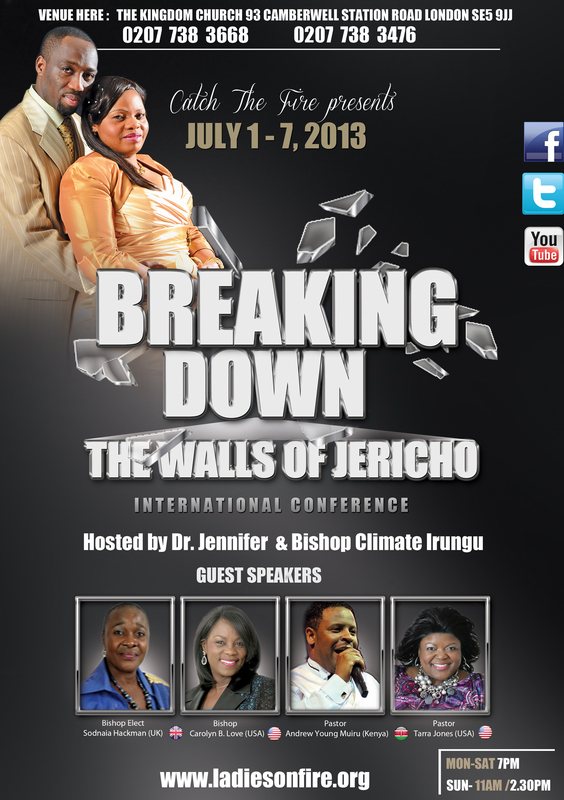 Upcoming Event Ladies on Fire Presents…Breaking Down The Walls Of Jericho! July 1st -7th 2013! One Week International Conference Hosted by Dr Jennifer and Bishop Climate Irungu This Event is not to be missed! Save The Date! Amazing Guest Speakers and much more!